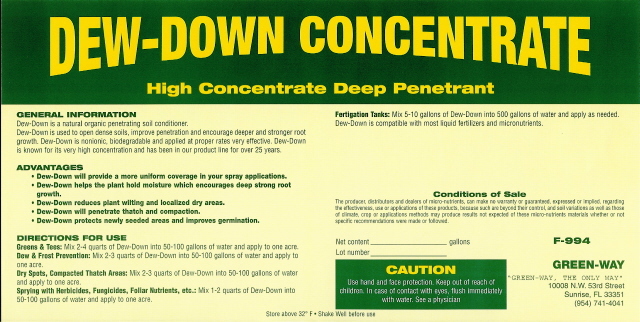 DEW-DOWN is a natural organic penetrating soil conditioner. DEW-DOWN is used to open dense soils, improve penetration and encourage deeper and stronger root growth. It is nonionic, biodegradable and very effective. DEW-DOWN is known for its very high concentration and has been in our product line for over 25 years.